Now it’s time to use leading features of macOS Mojave and iOS together. 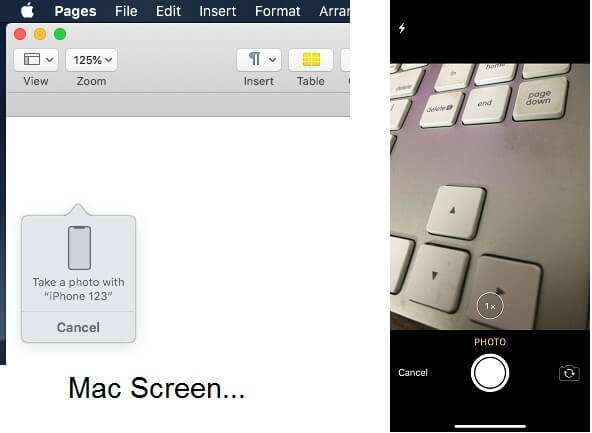 macOS Mojave and iOS 12 brings up Continuity camera feature, which allows you to take pictures in iPhone and transfer immediately on your Mac. It’s like when you are taking a picture in iPhone corresponding you can see that picture in Mac. 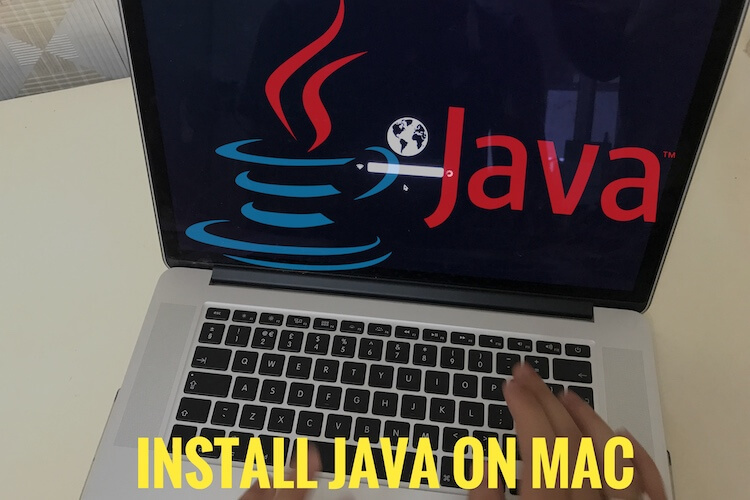 For instance, if you are working on some project and you require a picture of something to add in that document, then you can immediately click a picture using your iPhone and transfer to your mac using continuity camera. AirDrop doesn’t require to sync to transfer photo from your iPhone to document. “The “Scan Documents” service could not be used”. Reboot both Mac and iOS device. iDevice connected on same WiFi networks & Bluetooth turned on Both the Devices. This Feature we can use with Apple Apps (Notes, Mail, Pages) only, But not Supporting to Finder, Keynote, and Numbers. Give a look and learn how to use continuity camera on macOS Mojave and iOS 12. Step 1: Click on the document or file to open, in apps like TextEdit, Pages or Keynote. Step 2: Select the location in the document where you want to add the picture by control-click, two-finger-click or right-click. Step 3: Click on “Insert from your iPhone or iPad” and tap “Take Photo”. Step 4: Now, “take a photo” on iPhone. Step 5: After taking a photo, click “Use Photo”. Step 6: Now, the photo would appear exactly where you have clicked previously. Step 7: To add information, “double-click on the picture” on Mac’s document. Step 8: You can insert URL, description, and title in that photo. Step 9: Tap “Remove Photo” or “Delete Button” in the pop-up if you want to remove it. 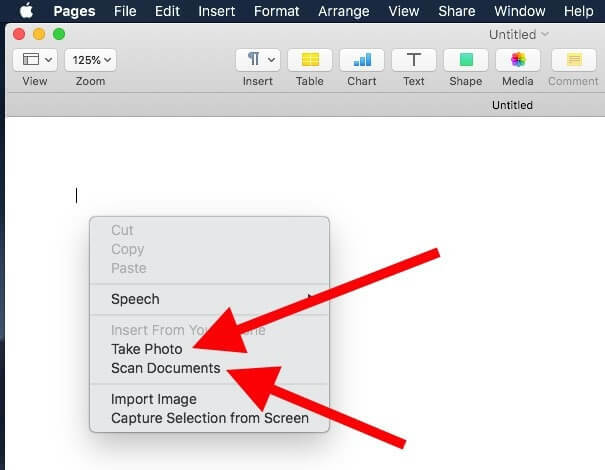 Without AirDrop or Wire connection you can insert or import live photo from your iPhone Camera to your Mac device’s document open on the screen. Like it! Share it! More tricks and troubleshooting guide. Any problem to use Continuity Camera on MacOS Mojave and iOS 12, Comment me!